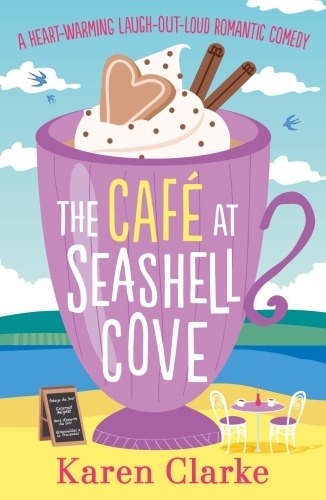 Welcome to the Café at Seashell Cove, where you'll find irresistible home-baked cakes, smiling friendly faces - and maybe even a second chance at love... When Cassie Maitland needs a holiday from her glamorous but stressful job in event management, she escapes home to gorgeous Seashell Cove, where her family's cosy café sits perched on the cliffs above sparkling waves and golden sand. But a lot has changed while Cassie's been away: her parents have transformed their tired café into a welcoming haven, her friends Meg and Tilly have whole new lives, and old flame Danny's twinkling eyes and winning smile make Cassie feel even more flustered than they used to. Keen to throw herself back into local life, Cassie starts to run themed events - including a not entirely successful cat-café day, complete with dozens of felines. Luckily Danny is always around to lend a helping hand, and Cassie soon begins to wonder if her life in London was really all she made it out to be... Could a new start in Seashell Cove be exactly what Cassie needs? A heart-warming and hilarious read about friendship, belonging and seaside living. Perfect for fans of Debbie Johnson, Holly Martin and Jenny Oliver.